I poke paperclips through for children to easily manipulate and attach cards. This folder is for telling time. A Level 1bag has o’clock and thirty digital cards to match with analogue clock pictures. Level 2 is :00, :15, :30, and :45. Level 3 includes any minutes and Level 4 includes things like “quarter to”. Level 5 will match cards that say things like 10 minutes after 3:35, dealing with elapsed time. I simply have students bring a finished folder to me when complete and I check it and tell them whether or not they can go to the next level. 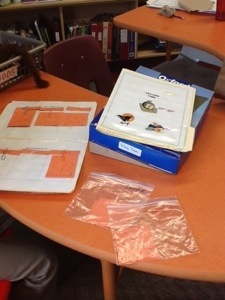 Posted in Classroom, Math and tagged centres, folders, telling time. Bookmark the permalink. 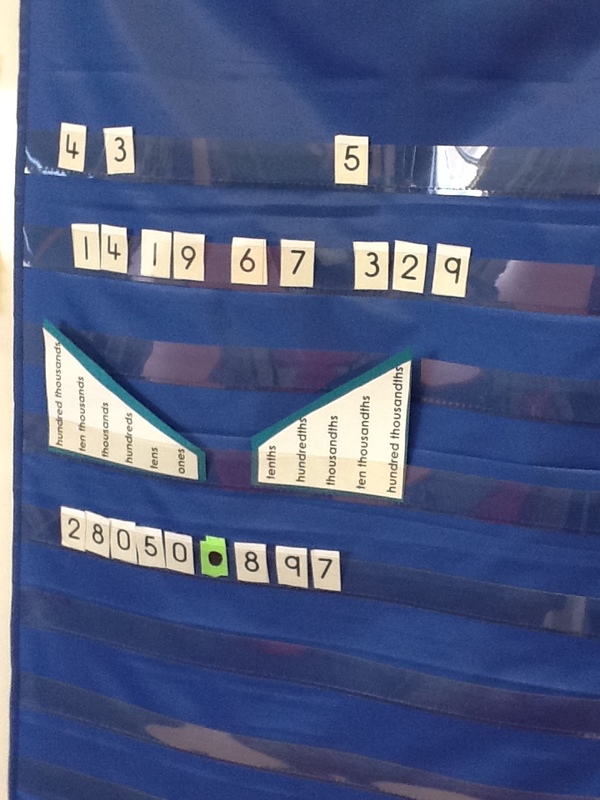 Kinesthetic – we moved the decimal left and right and shifted the place value words as needed. LOTS of practice reading the numbers made. 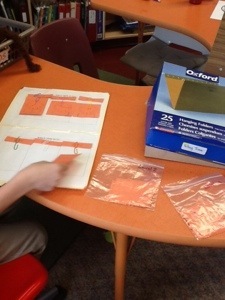 Take away the place value labels as students improve. Interactive Notebook – (the page before this has an envelope with the same number set and decimal as above chart.) This handout was given to students to fill in. Practice was done in pairs. 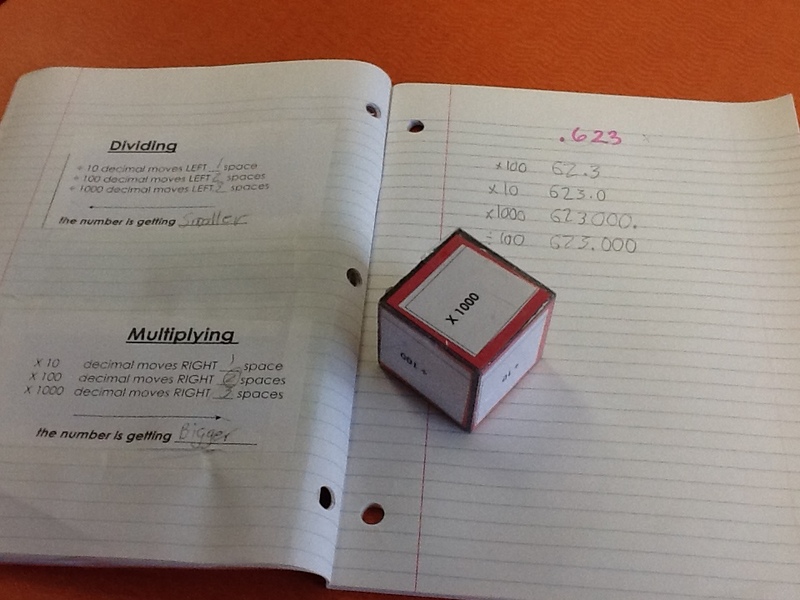 Students were given a starting number, rolled the dice, and changed the number as indicated by the dice. Review how and when to place a zero in the number. Posted in Classroom, Math and tagged 10, 100, 1000, decimals, dividing, interactive math notebook, multiplying. Bookmark the permalink. A friend at lunch one day said,” I know an app that you will love.” Well, he was right! 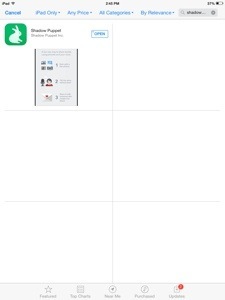 Shadow Puppet allows you to narrate photos and saves it all as a video. I have used it with a study group, taking pictures of the whiteboard with our notes, recording info, then emailing the video of this to each student making studying at home much easier and much more independent. I used it today to take a picture of an old heater vent in my classroom and record the rattles so that I could send the resulting video to our VP to get the needed repairs. I have snapped photos of a student’s review sheet, recorded myself reading it, then sent it to students to help them study for a test. The emailed videos can also be viewed on a PC. Posted in apps and tagged app, photos, studying, video. Bookmark the permalink. Good Bye to a Great Drama and Grade 8 Teacher! 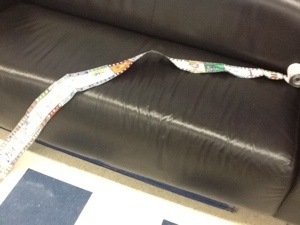 Students wrote individual statements of appreciation and each of these were attached to make a long filmstrip. Posted in Classroom, Kids and tagged appreciation, card for drama teacher, group card. Bookmark the permalink. 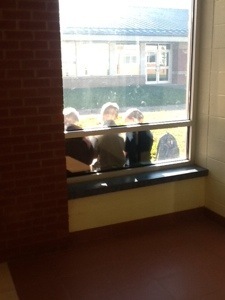 Watching The Sound of Music over the holidays I was struck by the contrasting models of discipline. The children were obedient with Captain Bon Trapp and with Frauleine Maria. However, one inspired obedience out of fear, the other inspired obedience with love, consistency, and involvement. Which are you, or which do you aspire to be? Posted in Classroom, Home, Kids and tagged discipline. Bookmark the permalink.